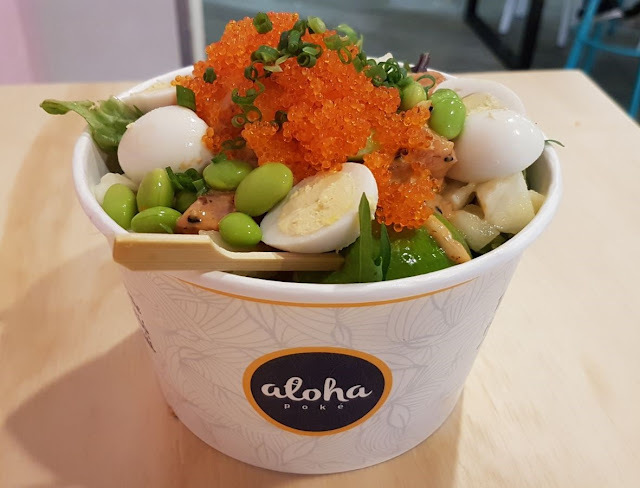 On a fine Wednesday night, 18th of April to be exact, Aloha Poke had its grand opening night! They were very generous in having inviting a bunch of bloggers to the event and Mr. T and I were humbled to have been invited too! On the night there was live music, plenty of drinks and of course, lots of food! Below are the photos of the pretty display of food they had on the night. Below were the samples of poke bowls we received on the night. 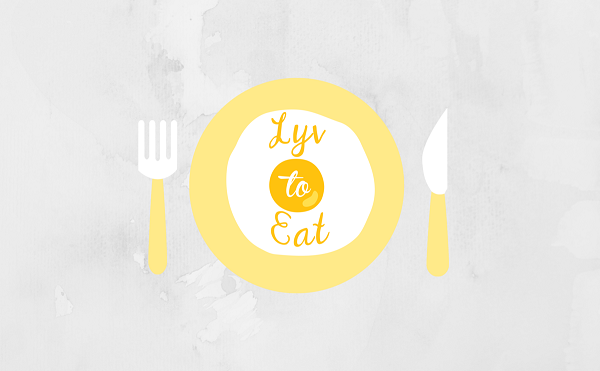 The one I had had tuna and pineapple chunks on top of the greens and rice. The tuna was definitely the hero of the dish, it was fresh and the sauce coating it was light, but tasty. I love the warm rice against all the fresh ingredients, it was satisfying. The bowl Mr. T received had the spicy salmon, pineapples and edamame. The spicy salmon was also fresh and the spiciness was enough to give you a kick but not burn your mouth. I also liked that the sauce coating the salmon was creamy, it was a bit more indulgent than the salmon. I also liked the edamame on this, it made the dish even more filling. 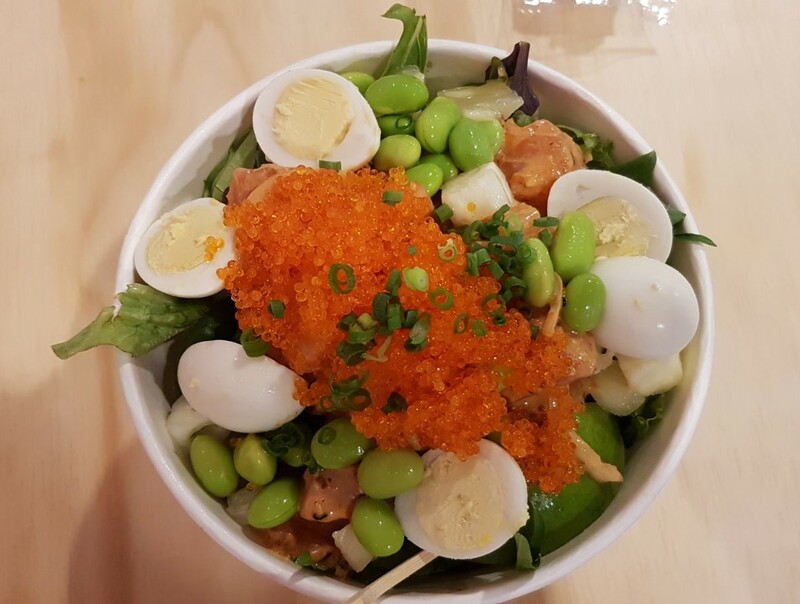 On the night of the opening, the guests received goody bags which included vouchers for free poke bowls on our next visit! Mr. T enjoyed what he sampled so much on the night he went back there within the next few days. He ordered the large spicy salmon poke bowl, the same one he tried on the night. As you can see, the portion is generous and even Mr. T was full after this filling meal! So glad that there's another Poke restaurant in Perth! It's a trend that I enjoy and hope it's here to stay! If you enjoy a good Poke bowl yourself, then I highly suggest trying Aloha Poke!